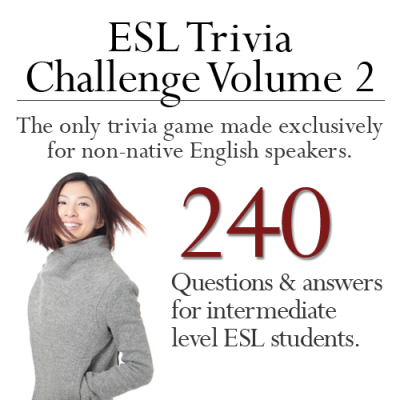 Can you teach ESL students problem solving skills? 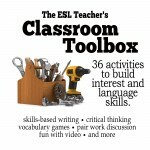 Yes, you can with this ebook: 30 worksheets that get your students thinking, speaking and learning in English. 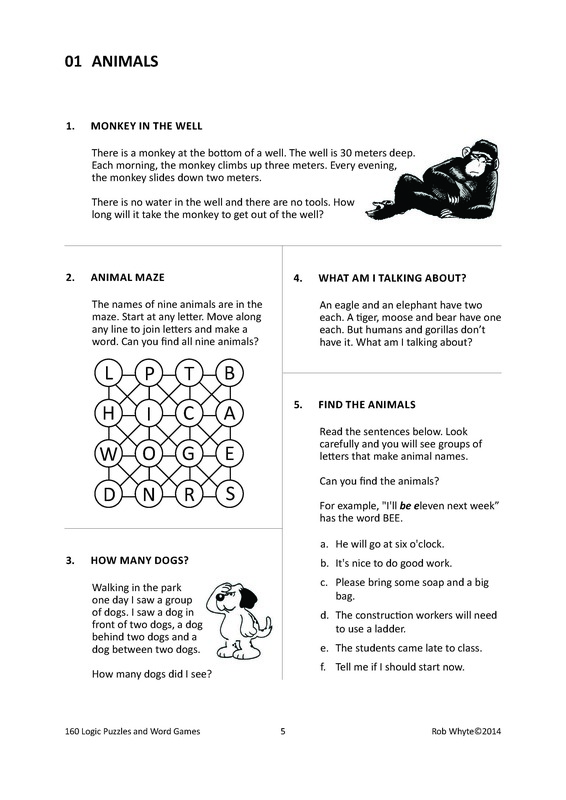 These classroom-tested worksheets transform spare time into quality opportunities to learn and practice critical thinking and problem solving skills. 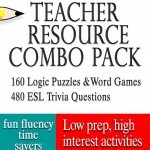 Great for end of period work, homework, private tutorials or those times when the class needs a change of pace. 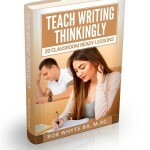 Why do teachers need this ebook? 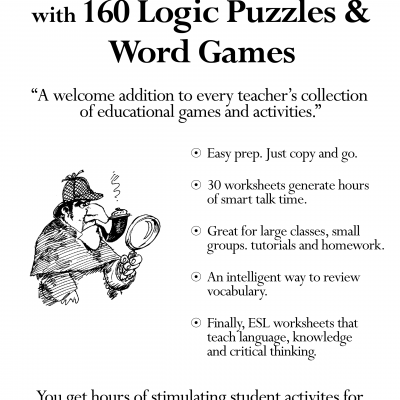 Well, it’s an awesome collection of professionally designed exercises that transform learning into puzzles. That’s one good reason. Here’s another. 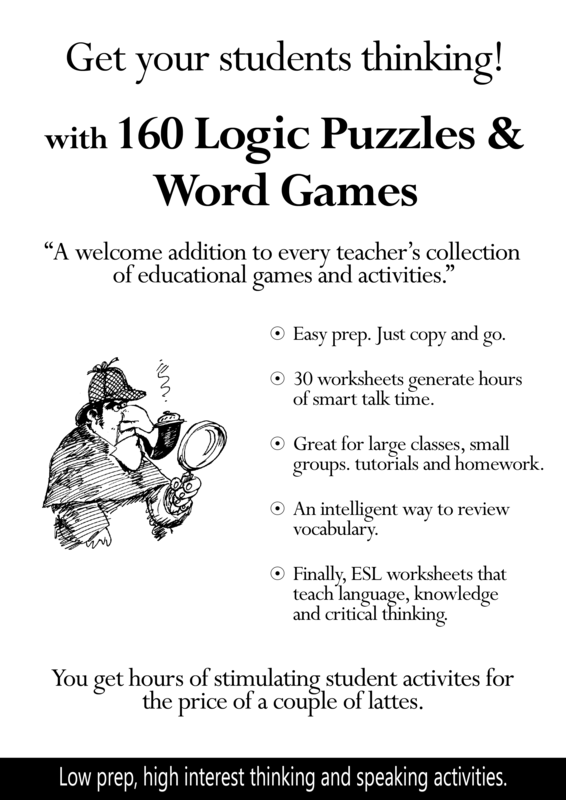 Effective teachers need stimulating activities to sustain student interest. 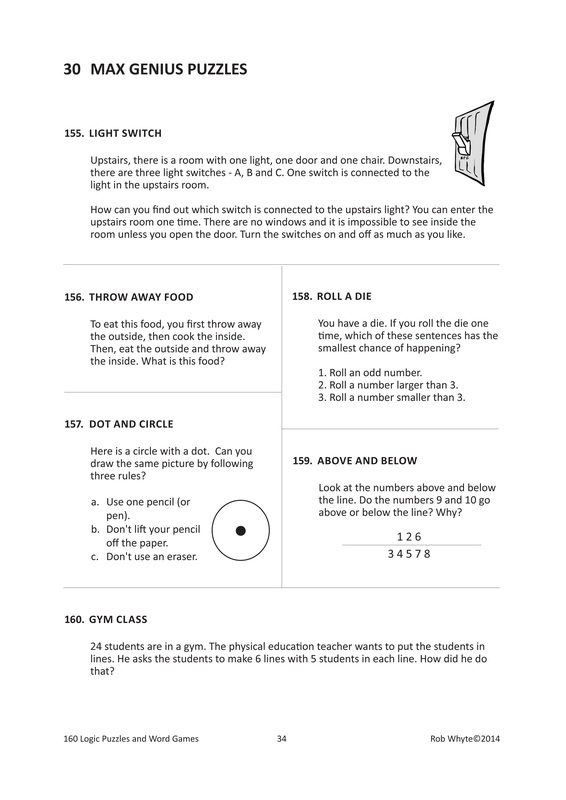 In an era of diminishing attention spans, ubiquitous multimedia and dopamine drops caused by temporary Smartphone withdrawal, teachers have to find ways to keep kids engaged by giving them fun challenges. And, teachers have to do that without spending their weekends lesson planning. 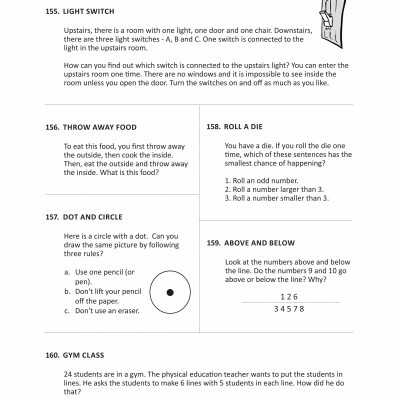 I know, I know, worksheets have a bad reputation – time fillers, right? But this ebook is different. 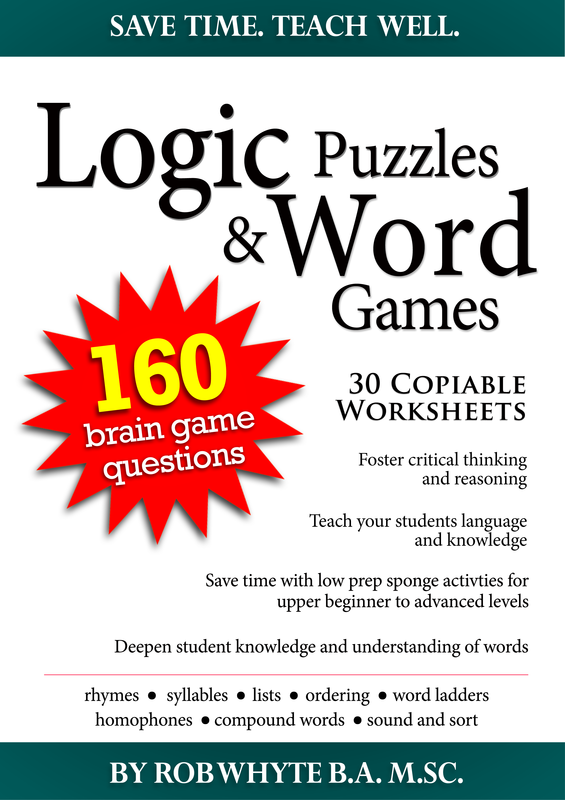 Take a look at the sample worksheets below and you’ll agree: these are intellectually interesting, pedagogically proper, unbelievably useful teacher time savers … not time wasters. Only $8.99 USD. Sounds like a lot – especially for an ebook – but let’s put that into perspective. How much did you pay for a movie ticket? After payment has been confirmed, you get instant access. I send you a message and you download the pdf file. Here’s my promise. 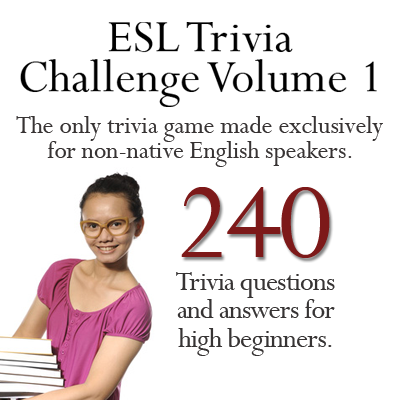 Try it risk free for 7 days. If you don’t like it you can get a full refund. Promise. Buy with Paypal. Use your Paypal account or pay with a credit card. Use the button below. 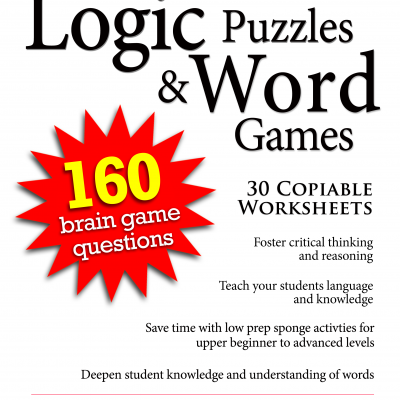 Puzzles promote vocabulary acquisition by activating deep processing. 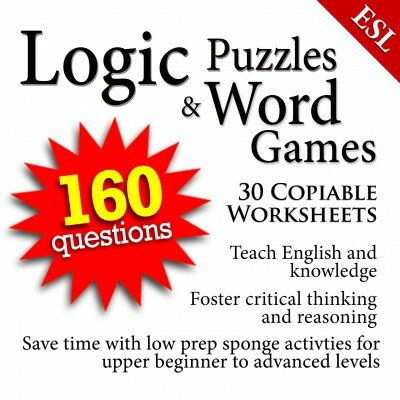 30 worksheets with classroom-tested logic puzzles, word games and general knowledge questions designed for non-native speakers. 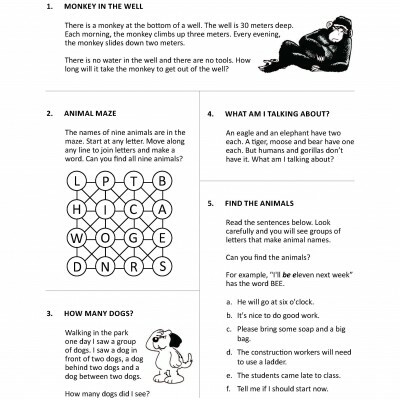 Most worksheets have a theme which fits in with standard ESL topics (e.g. family, numbers, money, etc.). Only $8.99 USD. After payment has been confirmed, you get instant access. I send you a message and you download the pdf file. Here’s my promise. Try it risk free for 7 days. If you don’t like it you can get a full refund. Promise. Use your Paypal account or pay with a credit card. Use the button below.